Deploying a CRM or related solution has never been more critical, nor the process of choosing one more complex. Do you go with an on-premises or a cloud-based system? What type of analytics should you implement? What about social media, mobile apps, or machine learning? 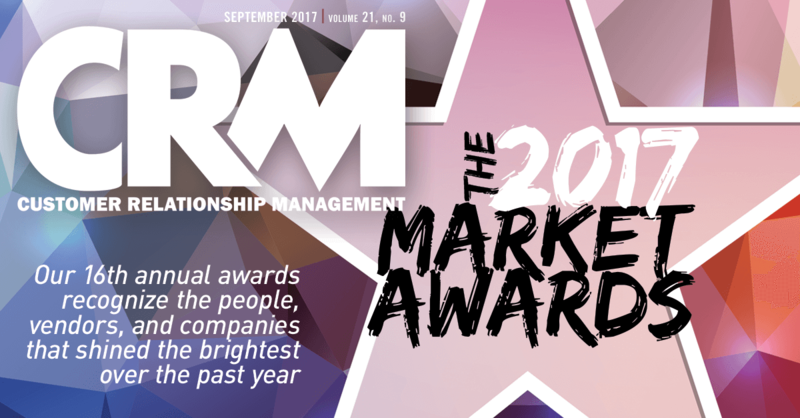 As your business plots the next move in its customer relationship strategy, it can pick up valuable intelligence from the vendors, visionaries, and companies celebrated in our 16th annual CRM Market Awards issue. Their efforts in the past 12 months have helped to remake our industry for the better. Read on to learn from their collective example.